CHICAGO – This animated take on Spider-Man gets a little stuck in a web entirely of its own making. Digging deeper into the weeds of the extended mythology of the comics, “Spider-Man: Into The Spider-Verse” presents not one but at least seven different versions of the character. CHICAGO – Just like every year before it, there were no perfect films in 2014. I do not see this as a negative thing - reaching for greatness is far more electrifying than the plateau of achieving it, as presented in a hustler’s opus like ‘Whiplash,” which specifically eschews applause after a drum solo that just may have been perfection. 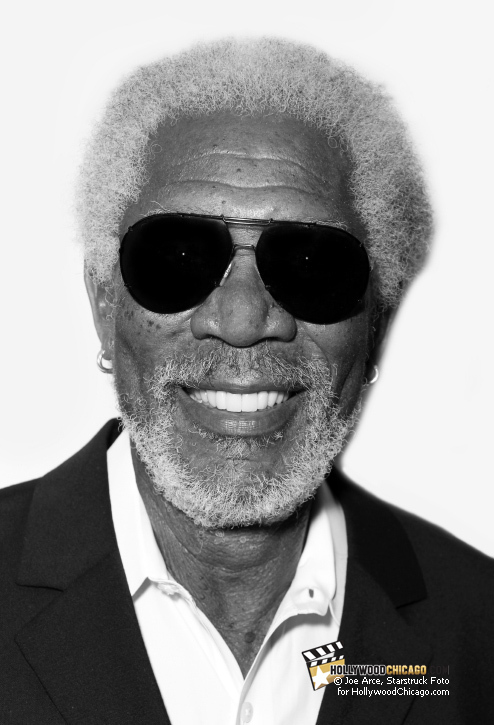 Morgan Freeman honored by the Gene Siskel Film Center, June 7th, 2014. CHICAGO – The sonorous and familiar voice of Morgan Freeman was in Chicago on June 7th, 2014, as the Gene Siskel Film Center presented “A Candid Conversation with Morgan Freeman” to benefit the theater. The event, at The Ritz-Carlton Chicago, raised more than $350,000 for the Film Center’s programming budget. CHICAGO – The funniest movie in a long while features no human beings, just animated bland faces among interlocking plastic bricks, the toys which inspired the film. “The LEGO Movie” never takes itself seriously, which means huge laughs for the audience. CHICAGO – Family 4-packs! In the latest HollywoodChicago.com Hookup: Film with our unique social giveaway technology, we have 20 family 4-packs (80 seats in total) up for grabs to the highly anticipated animated comedy “The LEGO Movie” starring Chris Pratt!